Theme/topic: war, families, history, Anzac Day, Australian's at war, First World War, Second World War, Korean War, Vietnam, Iraq, Afghanistan. On the NSW Premier's reading Challenge list for 2018. 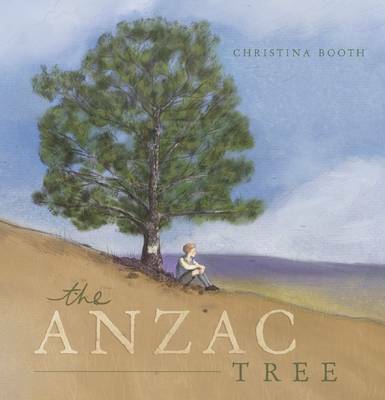 The Anzac Tree is the story of those left behind at times of war. Inspired by the true story of two brothers who planted two trees before departing for The Great War, The Anzac Tree follows the stories of the children left behind in each generation as Australia faces a new conflict. After one hundred years of Anzac Commemorations and war history, we journey through the changes in attitudes, events and circumstances looking through the eyes of Phillip (WW1), Kenneth (WW2), Sophie (Korea), Emily (Vietnam), Chris (Iraq) and Jack (Afghanistan). Presented like a scrapbook of memories and notes, this story is suitable for younger children through to adults.